Most of Chevrolet’s success has come from offering an array of large family cars and pickup trucks to meet the needs of a lot of Americans, with an extra dimension added to the range with sports cars including the long-lived and much loved Corvette and Camaro. Yet, whilst the full-sized pickup, the Silverado is by some measure the best-selling product in the line-up, as it has been for many years, it is the smaller cars which also add huge sales volume to the marque’s totals month after month. Chevrolet has something of a chequered history with their small cars, often taking models – either their own, or ones that they brought in from other brands – and adapting them to meet to local needs, with very mixed results. The Chevette of the late 1970s scored because it was very cheap, but in all other ways fell way short of what Americans wanted and expected, and some of the Japanese models that they adapted in the 1980s, from Suzuki and Toyota, were seen by most as just too small for the market as well. By the mid 90s, the small car offering was the Chevrolet Cavalier. This had started out as part of the global J car family, and was a close relative of the first front wheel drive Cavalier/Ascona that so impressed in Europe, but as that car evolved into the (little loved) Vectra, the Americans went their own way with a second generation Cavalier and the closely related Pontiac Sunfire. With modest annual updates, these lived on until 2004, way past their sell-by date, which allowed ever more rivals to gain a strangle-hold of what is now known as the compact or mid-sized class, with Korean rivals muscling in where Toyota’s Corolla, Nissan’ Sentra, Honda’s Civic and Mazda’s 3 had already captured lots of what had become a huge market sector. The Chevrolet Cobalt of 2004 was a definite step in the right direction, but it was only really with the launch in 2008 of the Chevrolet Cruze that it looked like the Bow-Tie had finally got something that could compete for class honours. Unlike its predecessor, the Cruze was designed for world markets, and global sales of over 1 million units a year were being talked about. It took a while, as production in a number of plants around the world ramped up, but the car went on sale in the US in 2010, as a 2011 model year car, and it was well received. It quickly became one of Chevrolet’s best-selling passenger cars, and with reason, as, whilst this was not an exciting car, as indeed none of its rivals really are, this was in absolute terms a good product. Whilst sales of the Cruze were never very great in Europe, and indeed the model was pulled from sale when GM decided to concentrate on the Opel/Vauxhall range only, it did sell extremely well elsewhere. The million units a year was achieved, with the lion’s share of them being in China. America was the second largest market for the car, with around 200,000 cars a year finding buyers. Chevrolet only made modest updates to the car, with new front end styling in 2015 being the most visually obvious, and by this time, a new Cruze had already debuted in China. A slightly different version debuted for the American market in June 2015, with the car going on sale for the 2016 model year. Gone was the rather boxy styling, with the new model having a sleeker profile with a clear link to the larger Impala, and the Malibu that would follow it to market a few months later. It is neat, but actually a bit forgettable, in my opinion. Even so, it was a car that I was keen to try, as I had been quite impressed by the first model, and I wanted to see how this one would stand up to the rest of class, most of which I had sampled in recent times. That has not happened quite as quickly as you might expect. 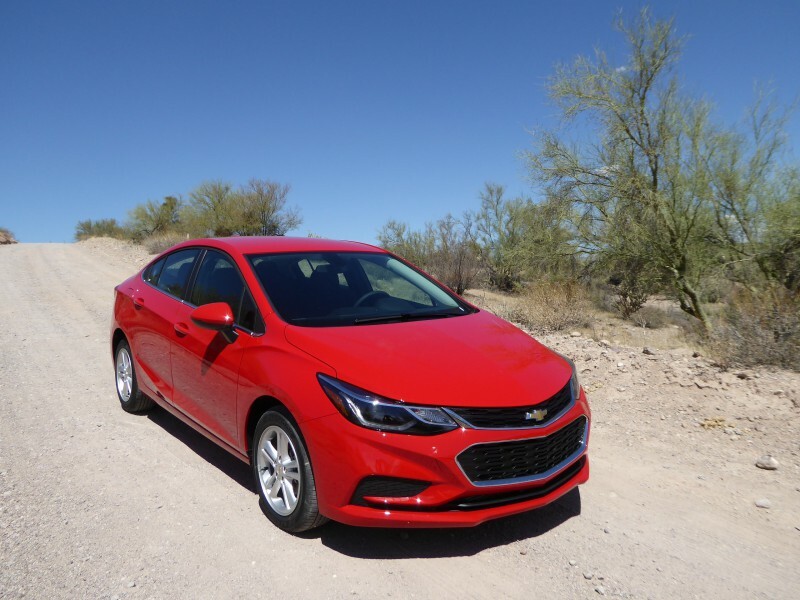 Because Chevrolet kept the old model in production for fleet customers, most of the Cruze models in the rental fleets are still those first generation cars. However, the first handful of new second generation cars have just started to appear at Hertz, categorised, I note in a rental car group one higher than the old model, and I found one of these allocated to me on a night when Phoenix’ Sky Harbor facility was not exactly well-stocked. It turned out to be a brand new car, with just 6 miles on the clock, making me for sure its first rental customer. I took it, interested to see what the latest Cruze is like. A diesel engine has been added to the US market Cruze range, just at the time that diesel has been in the news for all the wrong reasons, but the vast majority of Cruze models will be sold with petrol power, and that was the case for the test car. The Cruze uses GM’s trusty 1.4T Turbo 4 cylinder engine, but it has been revised for this version of the Cruze compared to the first generation car. It now generates 153 bhp, a 15 bhp increase, and there is a little more torque as well, which along with a significant 250 lb reduction in kerb weight should endow the car with a punchier performance. On paper, it should have all its competitors beaten, and the quoted 0 – 60 time suggests that it is actually quite brisk for a car of this class. I did not find it to be so, though it is fair to point out that with only 6 miles on the clock when I collected it, things may have been somewhat tight and it would get a bit more agile feeling as it loosened up. It is certainly a smooth and refined unit, but I found it could be somewhat hesitant under acceleration, though once underway, the Chevy had no difficulty in keeping up with the flow of traffic. I took it up into the hills north east of Phoenix, and these are steeper than you sometimes think, giving some test cars cause to have shift down a couple of gears and work quite hard to maintain a decent speed. The Cruze was not like that, coping without undue difficulty. All bar the entry level L model come with a six speed automatic transmission. Although this does have a manual mode, I left the gearbox to work out for itself when to change up and down, something it seemed to figure out pretty well. Gearchanges between the six forward ratios were very smooth. 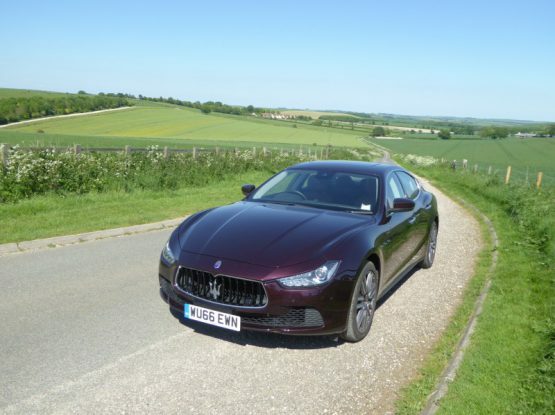 There was a surprising amount of travel between the positions on the gearlever, with the result that it was all too easy to select Neutral rather than Drive, as I had simply not pulled the lever back far enough. There was some road noise evident, but this was very dependent on the road surface, with some far more prone to creating noise than others. This apart, noise levels were very low, with the engine note particularly well suppressed. I covered 164 miles during my time with the Cruze, and needed to put 5.23 gallons in the car to fill it up, which computes to 31.36 mpg US, or 37.46 mpg Imperial, a respectable result, but ultimately not that impressive, as I have known larger cars achieve better results than this, and it has to be noted that I did not drive the car all that hard, with plenty of steady speed cruising, and there is a standard Stop/Start system. Much to the chagrin of many Americans, this can’t be disabled. It worked well enough, so I really don’t see why you would want to do so, but many Americans still have an in-built antipathy to this concept. The steering is, like rather too many cars these days, a bit too light, but this seems to be what manufacturers think customers want. You could still point the Cruze with precision down a twisty road, in full knowledge that it would behave much as you would expect a family-oriented front wheel drive car to do, which means plenty of grip, not much body roll, and a tendency to understeer once you attack a curve with some elan. You would have to do something very stupid to get yourself into trouble here. There were no concerns with the brakes, which did what you would want them to do, with a well-weighted feel to the pedal. There is a foot-operated pedal for the parking brake. The Cruze rides well, thanks not just due to the soft suspension, but also because it rides on relatively high profile and small wheels, 205/55 R16s. The Cruze is not a particularly large car, so it was easy to manoeuvre, in and out of parking spaces and when turning round. Visibility was generally good, with a decent field of view from the door mirrors. The sloping rear screen meant that judging where the stubby tail ended was not that easy, but a rear-view camera is included, a feature which will become a requirement on all new US cars in the near future, so this was not actually much of a problem. GM have been making a conscious effort with their recent models to improve the quality of their interiors. They’ve not been completely successful, as although the overall design is neat enough, avoiding the overly fussy appearance of rivals with a surfeit of buttons, or those which give you the impression that the infotainment screen was an afterthought slapped on late in the design, but there are plenty of hard plastics and there is a rather odd cloth texture used on part of the dashboard moulding, as well as some rather cheap looking grey plastic around the central infotainment screen. There is a plastic moulded steering wheel. That said, the details are neat enough. There are two large dials, for the speedometer and rev counter, with a 4.25″ multi-function digital display area set between them, which all sit in a figure of eight on its side, leaving space for two smaller dials, for fuel level and water temperature, in the upper centre piece of the instrument cluster, all then presented under a single cowl. The graphics are crisp and clear, and the chrome rings around the main dials add a touch of visual distinction. Sadly, though, in some light conditions, these chrome rings can also reflect, which is a mite annoying. You cycle through the digital display area using buttons on the right hand steering wheel spoke. Two column stalks – current GM issue as found in the majority of the range – feature, for indicators and wipers – these latter operating in a clap-hands pattern, I noticed. A rotary dial on the dash is used for the lights. The centre of the dash contains the touch sensitive 7″ colour display screen for the MyLink system that sits between two vertically stacked air vents. In LT trim, in addition to basic radio functions and GM OnStar, you get Satellite XM radio and a 4G LTE wifi hotspot, but not navigation. The system was easy enough to use, and the graphics were crisp, which is just as well, as most of the buttons you used to get have been removed, with just audio unit on/off and volume and radio pre-sets featuring beneath the unit. Under this is what you need for the air conditioning system, two rotary knobs and some switches for airflow direction. The steering wheel spokes contain slightly off-to-the-feel touchpads which are used for audio repeater functions, cruise control and the selection buttons for the digital display. A conventional key is needed to start the Cruze. Seat adjustment is all manual, with a bar underneath used for fore/aft and levers on the seat side for backrest rake and seat height. There is no lumbar support adjuster, which is a pity, as overall, I found the seat less comfortable than some others I have encountered. With a telescoping steering column, going in/out as well as up/down, I could at least get the optimum driving position, and my head did just clear the headlining, though it was far closer than you get in most cars. Seat upholstery is a sort of cloth, typical of mid-spec cars in this class, and acceptable, but no better than that. This version of the Cruze has a slightly longer wheelbase than the first generation car, but even so, rear seat space is not exactly class-leading. 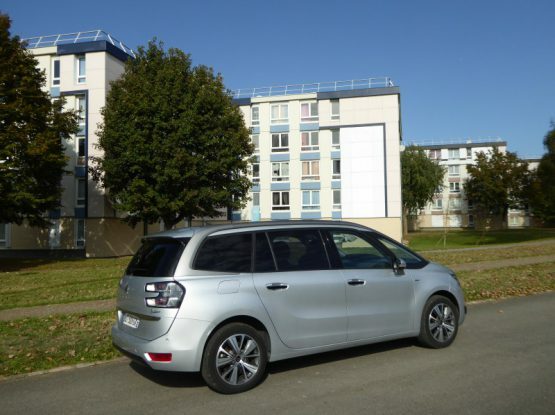 With the front seats set well back, there really is not much legroom, and the sloping roofline means that headroom is also a bit more limited than ideal. You need to be careful when getting in, too, as there is less clearance than you might be expecting and it was all too easy to catch your head. There is a drop-down central armrest. Occupants here have bins on the doors and there are map pockets on the back of both front seats for those odds and ends. The boot is a decent size, and is a nice regular shape. The opening is not that big, though, a consequence of the sloping rear roof line, so you may find it harder to get things in than it is to find space for them once through the slot. There is a space saver under the boot floor, which sits in a well that is just the size of the wheel, so there is no space for odds and ends around it, and if you had to put a punctured wheel in the car, be warned it would not fit here. You can fold down the rear seat backrests for a longer load space, these being split 60/40. Provision for odds and ends in the cabin is decent enough, with a glovebox, a cubby under the central armrest, a recessed around in front of the gearlever and door bins. There are two cupholders alongside the gearlever. In the North American market, you need to choose between petrol and diesel and, for the 2017 model year, a saloon or hatchback body. There are also four trim levels offered on the 2017 model Cruze: L, LS, LT and Premier, not all of which are offered with the diesel engine or the hatch body. Chevrolet have decided that their confusing policy of offering sub-divisions of these such as the 1LT and 2LT is overly complex, and do not do so here. Moreover, they have also decided that a generous level of trim even in the entry level cars could be a significant sales advantage, so for anyone who comes across an entry level L car, priced at $16,795, they may be surprised at how it is actually packed with value. Its list of impressive standard technology includes a 7-inch touch screen display, the Chevrolet MyLink infotainment system, a built-in 4G LTE Wi-Fi hot spot, a USB port, Bluetooth, Apple CarPlay, Android Auto, four speakers, power windows and doors, keyless entry, air conditioning, a rearview camera, automatic headlights, and Teen Driver assist. Next up in the range is the Cruze LS, which for your $18,525 gives you upgraded interior items, such as a three-spoke deluxe steering wheel and gives you the ability to swap out the manual transmission for an optional six-speed automatic for $1,000. The Cruze LT allows you to pick between the sedan and the new hatchback bodystyles. Standard amenities include a six-speaker stereo, satellite radio, steering wheel-mounted audio and phone controls, cruise control, heated side mirrors, a 60/40-split-folding rear seat, and LED daytime running lights. Powertrain options include the turbocharged petrol engine with either a manual or automatic transmission and the turbodiesel engine with either a manual or an automatic transmission. Chevy also offers a few different packages with the LT, such as the Convenience package, which adds heated front seats, a proximity key, and an eight-way power adjustable driver’s seat for an extra $850. Prices for the LT range from $20,920 to $25,920. The top-level Premier trim comes with the turbocharged petrol engine and the six-speed automatic transmission. Extra features in this $23,520 sedan ($24,020 for the hatchback) include leather seats, a leather-wrapped heated steering wheel, heated front seats, an eight-way power-adjustable driver’s seat, push-button start, remote car starter, and ambient lighting. There is also an RS appearance package available, which is designed to make the car look a little bit sportier, with unique front and rear fascias, rocker panels, rear spoiler and fog lamps, as well as alloy wheels. Reading this assessment, you would probably conclude that I was not that impressed by the Cruze, and indeed there were quite a few points where I felt it could have been that bit better, and yet, when I handed it back it was generally with quite a positive feeling. Standards are high in this class, these days, as indeed they are in every sector of the market, and whereas the first generation Cruze was easily one of the best of its type, things move on, so seven years on from that initial launch, Chevrolet unquestionably needed a new model, with more of the latest technology which we are told buyers expect these days. 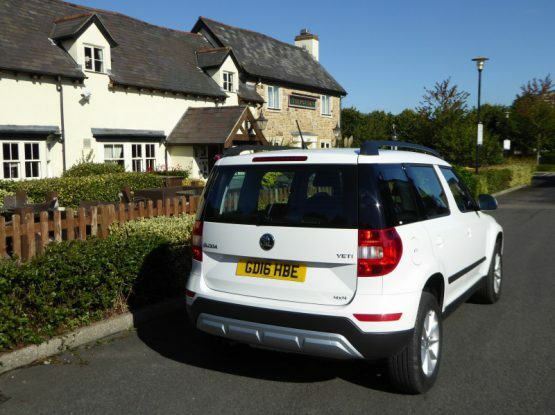 The swoopier styling has introduced some packaging constraints which were not there before, but you could argue that those who want lots of space are increasingly moving to a crossover-type vehicle anyway. Beyond that, the Cruze does nothing wrong, really, but then nor do some of its rivals. I’ve yet to drive the latest Mazda 3, which I strongly suspect would be my class favourite, but I did sample a Kia Forte only a few days before testing this car, and that car, whilst also not exactly exciting, struck me as just that bit better than the Chevy in most respects. I would expect that its close relative, the Hyundai Elantra would come across equally well, and – assuming you can get past the contentious looks – everything I’ve read suggests that the Honda Civic is up there competing for class honours, too. So, whilst the Cruze easily beats the big-selling Toyota Corolla and Nissan Sentra, my assessment based on this test is that it remains very much a mid-pack competitor.